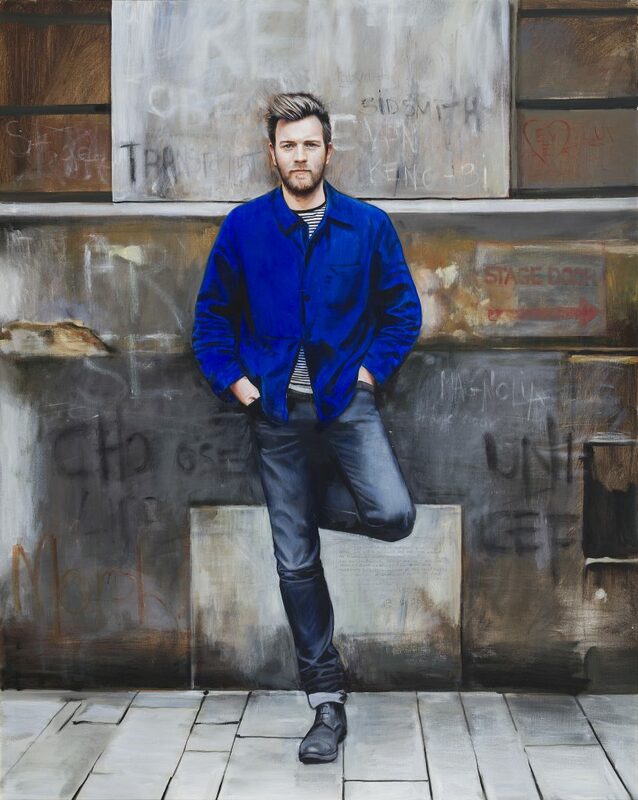 Acclaimed Scottish Artist, Gerard Burns is releasing his painting of Scots actor and UNICEF UK Ambassador Ewan McGregor to launch his upcoming “14 for 14” multi charity fundraising exhibition that will take place in The Banking Hall in Clydesdale Bank’s head office in St Vincent Street, in Glasgow, this July, during the Commonwealth Games. Gerard, who regularly donates his paintings to charity, thought that his own contribution to 2014 would be to organise a multi-charity event that celebrates each significant character he has chosen to paint while raising funds for each of his sitters’ chosen charities. “Ewan McGregor is the first completed painting for the ‘14 for 14’ Exhibition. He was literally the first person I thought of as soon as I came up with the idea. Ewan has been a pal now for many years and in that time I have grown to admire him, not just his career success but also for his incredible work with UNICEF. I just called him up and asked if he was up for it and here we are. Gerard is busy finishing the other portraits of prominent sitters for their own individual achievements and contributions. Alastair Christmas, Clydesdale Bank’s Regional head of Business and Private Banking in the West of Scotland, said: “Gerard has been a private banking customer for many years so it gives us great pleasure to support his latest exhibition, 14 For 14. It is also gratifying to know that the funds raised by the exhibition will be donated to some fantastic causes.